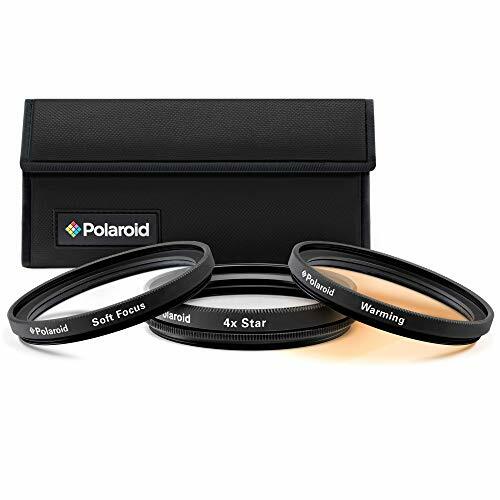 Neewer 58mm Star Filter Set is a fun addition to your set of filters, great filters for creative photography. 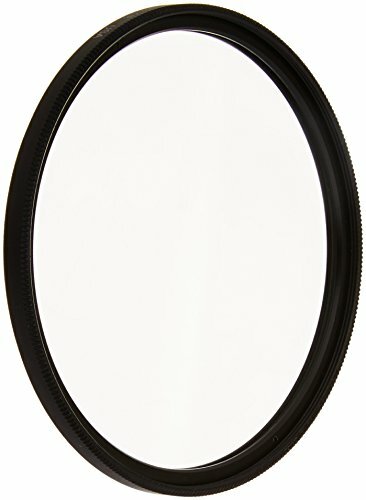 A fun accessory for photographers of all levels! 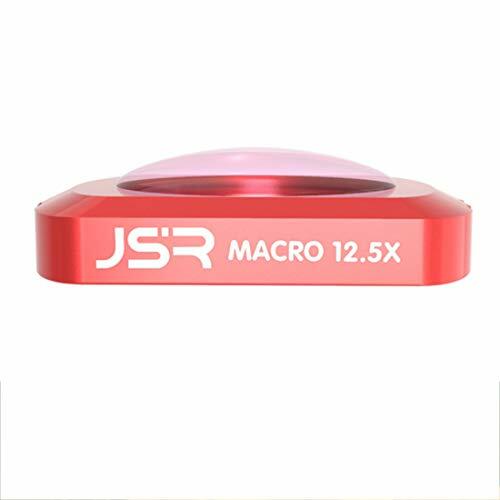 Made of high quality optical glass and aluminum alloy. Works with any lens with a 58mm filter thread. Manual or autofocus, digital or film. Double Threaded: Allows additional filters or accessories to be mounted one over the other. Rotated Design: Easily set the ideal orientation for the star rays. Create wonderful dazzling star effects created from original point light sources or bright reflections. REMEMBER: Needed to be used in a darker place to get a much more pronounced effect. Comes with a ultra gentle microfiber cleaning cloth. 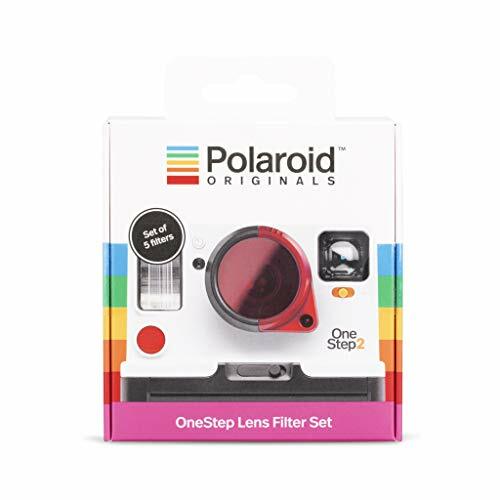 Specially designed for Polaroid Originals one step 2 and one step+ cameras, This lens filter set lets you add one of 5 New lens filters to your camera, unlocking even more ways to make amazing instant photos. Capture photos with a colorful tint, add starburst sparkle to the scene, or create kaleidoscopic compositions as instantly as...Well, instant photography. Useful with daylight corrected film in cool light conditions. 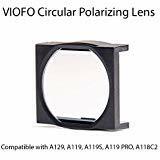 With our exclusive designed CPL filter, it could further reduce the reflections from the windshield, getting more saturated and beautiful video. 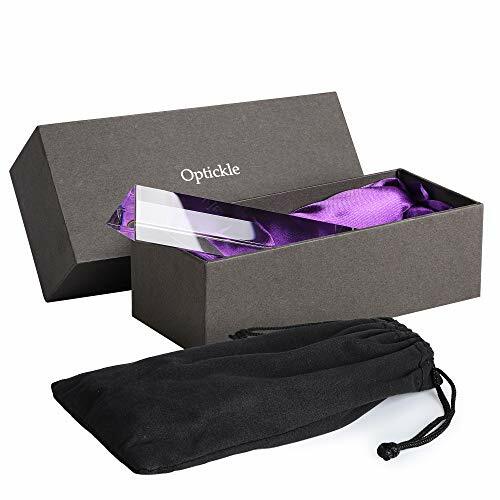 Optickle is a small but mighty brand with a crystal clear focus - helping you capture every moment with high-quality images, starting with the most important part: your photography accessories. Optickle - Photography Crystal Ball (78mm): Our take on a heavy hitter in the photography world features a lighter weight due to its slightly smaller size than the most commonly sold glass balls, but can still capture the entire picture beautifully. Plus, it's easier to take with you! You may just find that light and color have never looked so brilliant as they do with this glass ball, a K9 crystal photography ball (K9 crystal is used in high-quality lenses and other optics). This may just be your new favorite lens ball, yes... maybe even if you own a lensphere. Accessories Included With Our Crystal Balls: A microfiber cleaning pouch, perfect for erasing smudges. A cushioned gift box, making it perfect for gifts and a convenient spot for secure storage. And a silicone ring, a 15mm tall surface that prevents rolling and scratching. With Great Power Comes Great Responsibility: While this glass ball absolutely sparkles in direct sunlight, it's an optical lense ball, and its ability to take in light, creating such beautiful pictures, makes it a no-go on flammable material. Keep that in mind and don't leave it unattended, we say keep it inside the microfiber cleaning pouch. 100% Satisfaction Guarantee: If for any reason you can't create brilliant crystal ball photography, and you're unsatisfied, please contact us within 30 days for your money back. YOUR BEST IMAGES AT YOUR FINGERTIPS: Carry your new lens ball around and let your creative ideas float through your mind - without being weighed down! 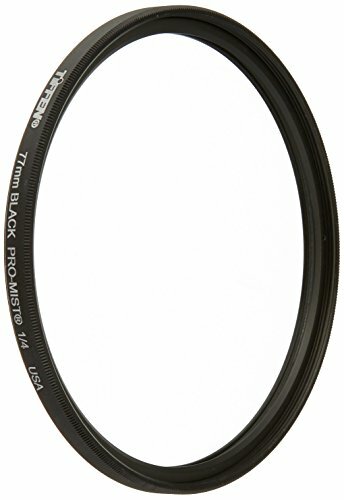 At 78mm (3 inches), it's smaller than the commonly sold 80mm but plenty large enough for clear, stunning photos! A PHOTOGRAPHER'S BEST FRIEND: We've got you covered so you can focus! 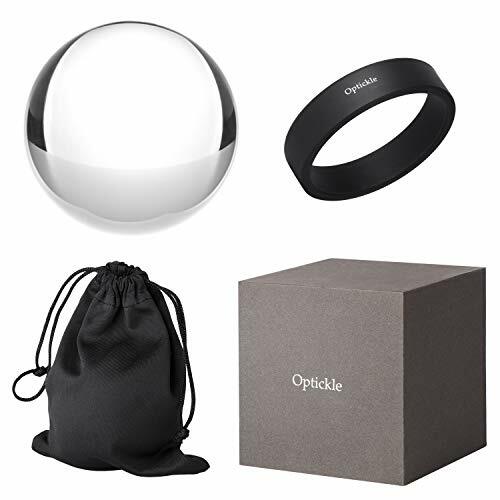 Packed in a beautifully cushioned gift box, both amateur and professional photographers alike can appreciate the crystal ball with stand (a sturdy silicone ring) and microfiber cleaning pouch. A RESOLUTION YOU'LL WANT TO KEEP: This glass ball is a solid K9 crystal ball. Likely the same crystal that's on your expensive camera lens, it's made in a high-profile lab. Created for photography, it's not just a decoration or Halloween prop, but could take great pics of both! FOR CRYSTAL CLEAR COLOR AND CLARITY: Get ready to view your surroundings in an entirely new light (even on your iPhone, it's compatible!) because we say nothing captures images like optical crystal balls, and we created it to be one of the best glass balls out there! 100% SATISFACTION GUARANTEE: If for any reason our lense ball isn't the best crystal ball you've seen and you're unsatisfied, please contact us within 30 days for an exchange/ refund. The Lens is specially designed for DJI OSMO POCKET. It is a combination of aluminum-alloy frame and optical glass, with longer service life and durability. Ideal for shooting and capturing professionally quality images and video. CR Wide Angle Get a broader view and capture more with the SUPER wide-angle lens. Perfect for landscapes and travel photography. and beauty of the object. 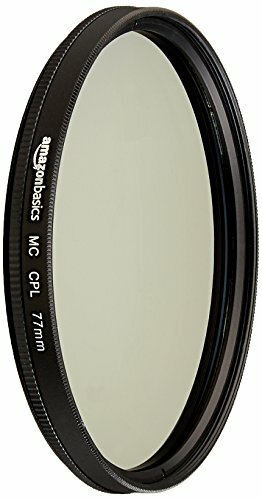 Make it easy to take clear and gorgeous pictures. Design for DJI OSMO POCKET Stabilizer camera. With a small wide-angle shooting, you can easily complete a wide range of shots for a larger view the picture taken with the wide-angle lens can have a wide background while highlighting the central body and foreground. Can capture more scenes in a smaller environment, at the same shooting distance, the scene is smaller than the standard lens. very fascinating. Many people like to play it this way. Thanksgiving, Mother's Day, Christmas exchange gifts For Her/Him, wife, girlfriend. The corners are a little sharp, plus glass is breakable, so share wisely with children. High quality - No defect, no burr, This is a mini prism cube of optical glass. All surfaces can be refracted.easy to carry, you can carry it in your pocket or backpack. Even on the desktop, it doesn't take up much space. 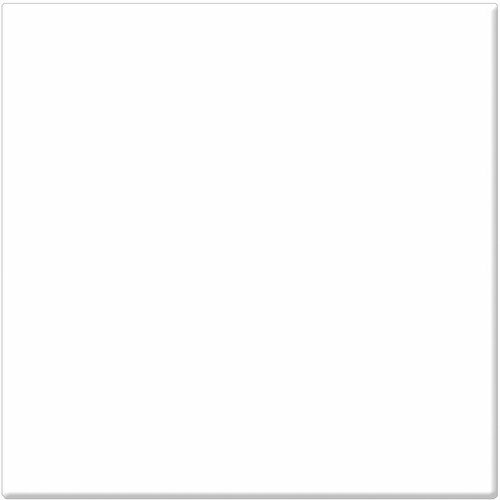 Photography - This is a cool tool for photography, make your photos unique without having to use any effects or Photoshop, It is fun to use and gives each picture a different look. Education - This is a nice demonstration of beam splitting and light filters, awesome color combinations that can be created. Both children and adults can't wait to discuss the knowledge behind it. 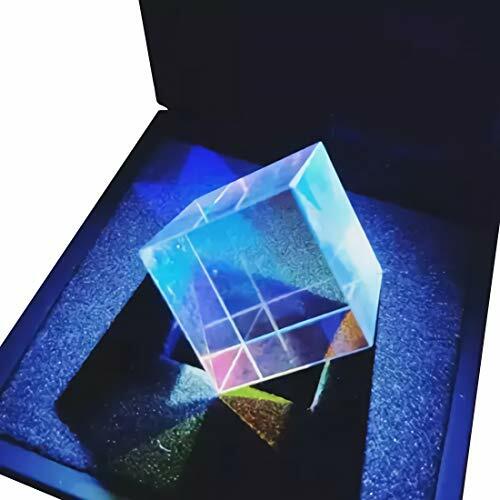 Give them a Surprise - This optical prism is packed in a gift box and is ideal for birthday parties, Mother's Day, Christmas exchange gifts For Her/Him, wife, girlfriend. Satisfaction Guarantee - Auivguiv keeps customers happy by ensuring quality control. If unhappy about quality, RETURN for FULL REFUND. No Questions. - 82mm Bokeh Effect Lens Cap Cover & 9Pcs Spot Cards Kit. - For artistic romantic scene, practical photography accessory kit, to create special effects. 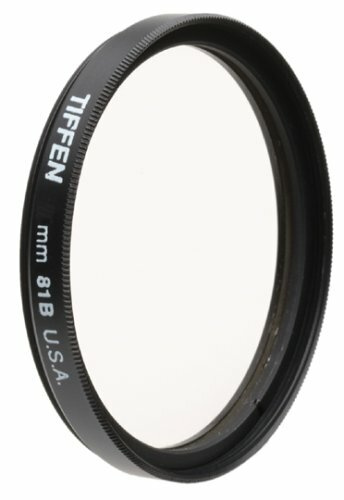 - For 35mm minimum fixed focus lens, recommended to be 50mm or more, aperture f2 or larger. For 70-200mm, 55-250mm, 50-200mm zoom lens, not suitable for the zoom lenses at the beginning of 24, 18, 17, 15, 14. - The effect spot card, can be placed over a UV or any other filter. - With 9 patterns, stars, heart shape, snowflakes, butterflies, flowers, music and trees. The bokeh effect mainly depends on the focal length and aperture of the lens, and the fixed focus and telephoto effect of 50mm or more are the best. 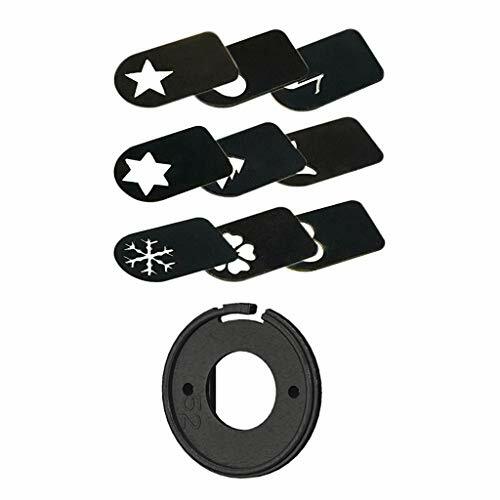 * 82mm Bokeh Effect Lens Cap Cover & 9Pcs Spot Cards Kit. 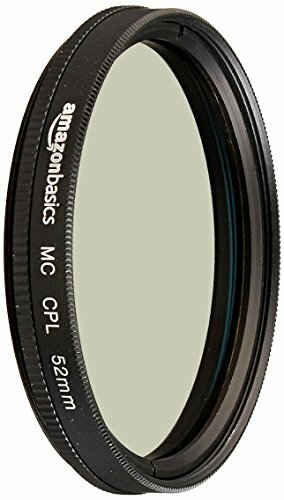 * For 35mm minimum fixed focus lens, recommended to be 50mm or more, aperture f2 or larger. For 70-200mm, 55-250mm, 50-200mm zoom lens, not suitable for the zoom lenses at the beginning of 24, 18, 17, 15, 14. * For artistic romantic scene, practical photography accessory kit, to create special effects. * With 9 patterns, stars, heart shape, snowflakes, butterflies, flowers, music and trees. * The effect spot card, can be placed over a UV or any other filter. 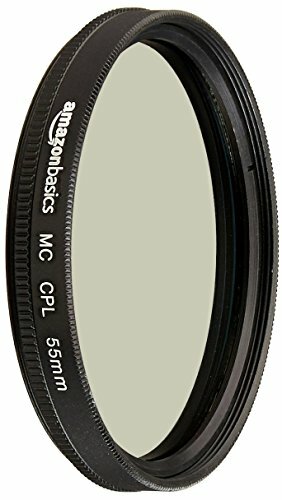 Black Pro-Mist Hollywood/FX filters were originally designed for the TV and Motion Picture industry, but are now available to all photographers and videographers. 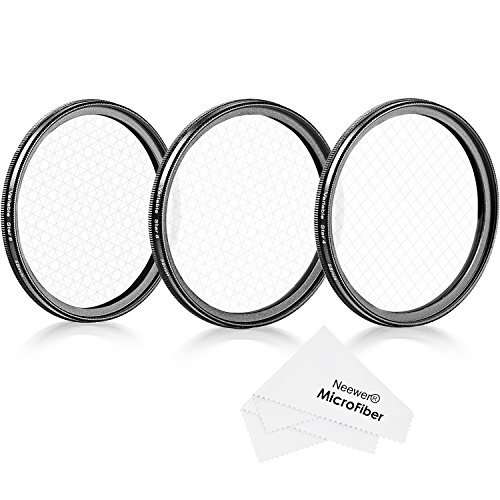 These filters offers all the benefits of the Pro-Mist filter in a more subtle form. Highlight flares are controlled and contrast is lowered, but with less lightening of shadows for a more delicate effect.